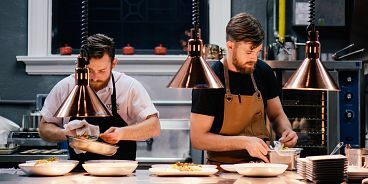 If you, too, were sad when Chef Dale MacKay and his beautiful food left Vancouver to open a new restaurant in his hometown of Saskatoon, good news…the Top Chef Canada winner is returning to BC for a special dinner at Edible Canada on Granville Island. As part of Edible’s Coast-to-Coast Market Dinner Series, in which renowned chefs from each province and territory will fly in to cook three-course “Canadian-themed dinners”, Chef Mackay will feature food that’s indigenous to the prairies and the history of Saskatchewan. 75 seats are available and each course (described below) will be paired with unique hand-crafted cocktails by mixologist, Christopher Cho. Dale’s Saskwatchewan-themed Edible Canada feast will take place on Monday, March 2nd and you can reserve tickets by heading to ediblecanada.com.